The excess over the standard model remains high but its significance has not increased because the value has gone down as more data has been added. When we first saw this excess a year ago we were excited that it may be real physics and we hoped that by this time we would have a truely significant effect. This has not happened. 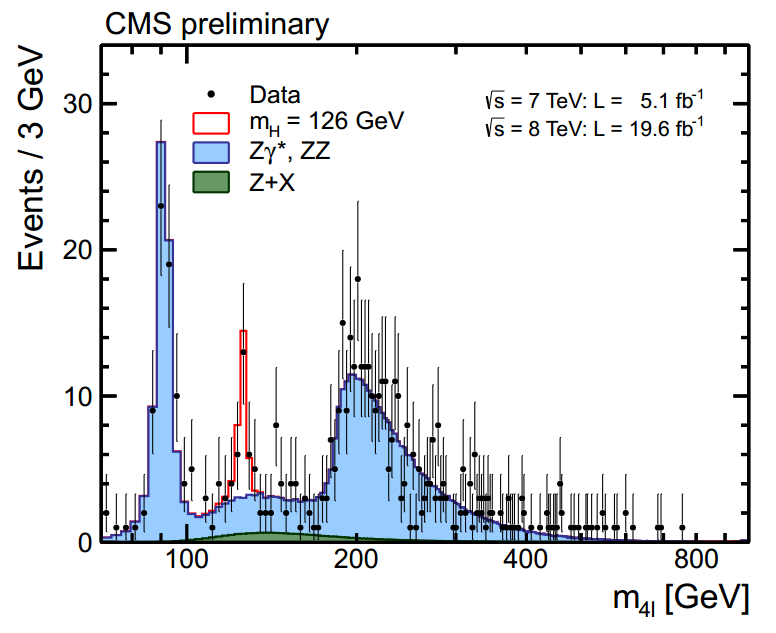 We still need to wait for CMS to show their diphoton results before we can draw any conclusion but rumours are that their overexcess has fallen even more dramatically. 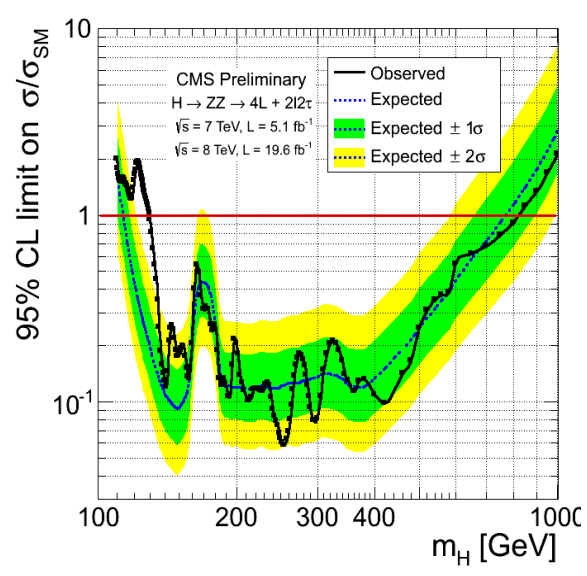 This means that expectations of significant BSM effects from run 1 are now lower. 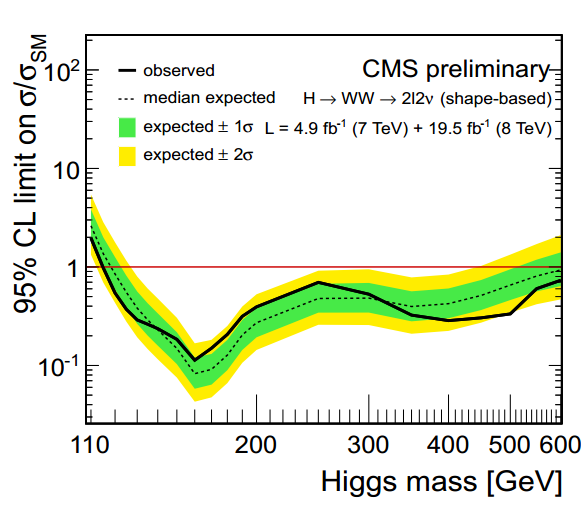 CMS also gave us a plot of excesses in the WW channel over the standard model with Higgs at 125 GeV. 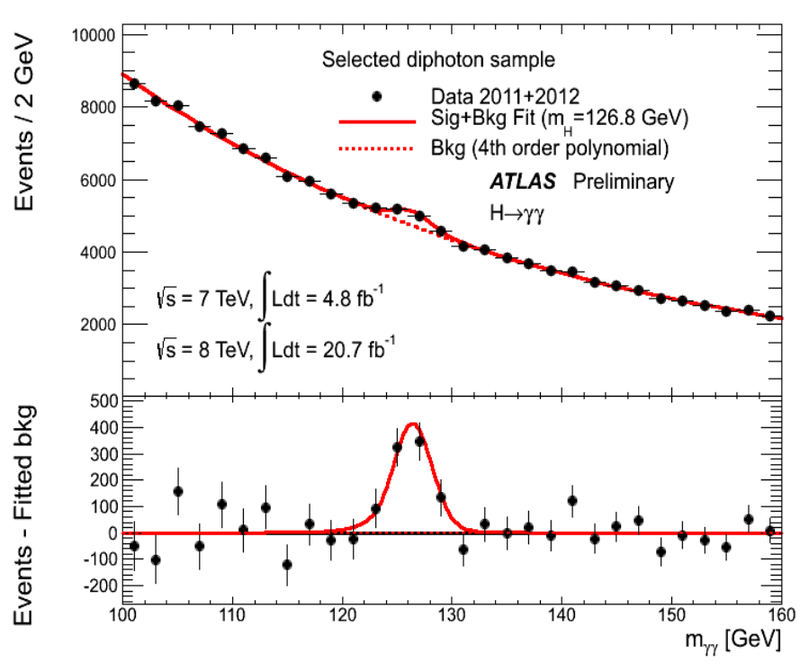 In other words this plot should only show any excesses attributed to any other Higgs like particles. They said they are now doing this analysis for all the high mass searches which is a good move. 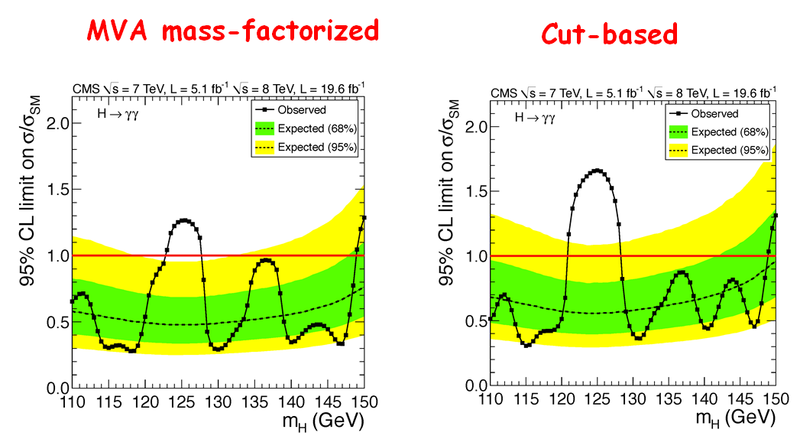 This shows that there are not yet any signs of higher mass Higgs particles as would be expected in Higgs multiplet models. 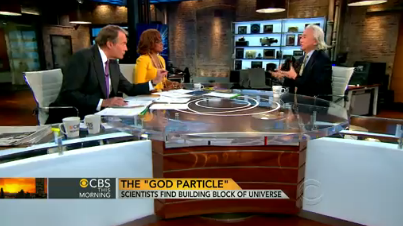 If they exist then they must be quite well decoupled from the observed Higgs boson. 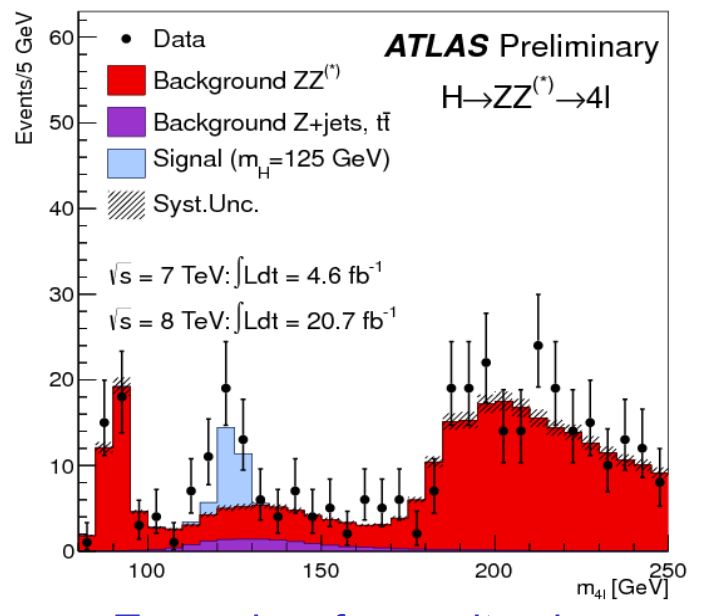 The usual combined ZZ channel plot tells a similar story with no significant excesses beyond the known Higgs. 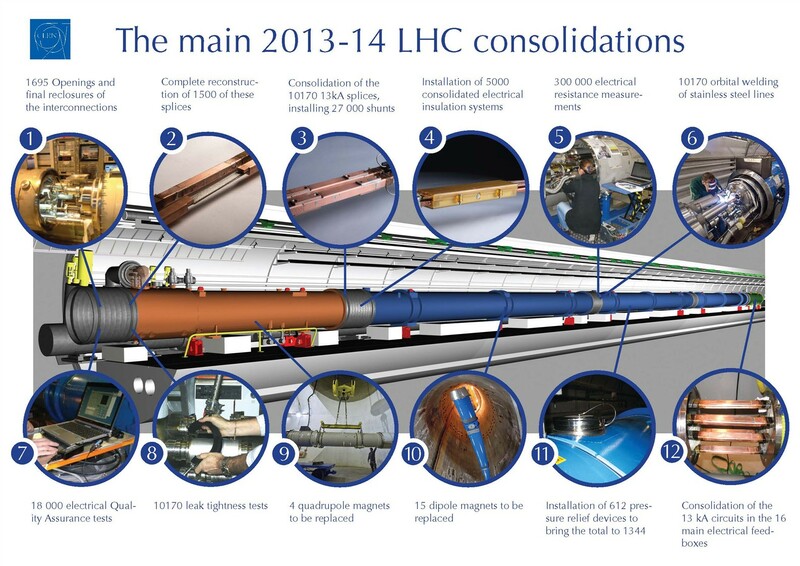 You are currently browsing the archives for the Higgs Hunting category.